Ligue 1 Side Lyon are prepared to take the Premier League by storm, especially targeting the Red Devils this January, if reports from the Daily Star are assumed to be true. Jean-Michel Aulas, the current Lyon president, has reportedly admitted of being hopeful that his side are capable of completing a mega deal this January transfer window, which could possibly include two Manchester United players. 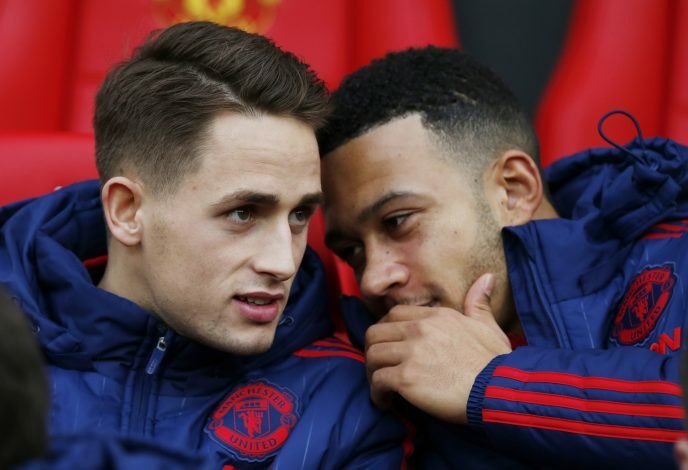 Memphis Depay and Adnan Januzaj are the names on his wish list, and with the Dutch winger not playing any games at all without even being part of the bench, and the young Belgian struggling out on loan to Sunderland, this deal might well be one that takes place soon with the right price offered. These rumours were sparked when Jean said he will need to speak English to complete this deal, suggesting the Premier League to be the target of the French Club. L’Equipe reports stated that Lyon advisor Gerard Houllier is part of the management working on the deal, and Jean mentioned how he and Gerard will have to be discreet and speak English during the negotiations of these transfers. Both players are surplus to Mourinho’s requirements this season, and the Ligue 1 could very well be graced with two promising, quick wingers eager for action, anytime soon. With PSG not so strong as previous seasons and Nice surprisingly leading the Ligue 1 standings for now, Lyon need to get reinforcements to challenge for top spot, and this duo might just be the perfect way to go about it.